Being a family caregiver for an elderly adult is challenging. No matter what your relationship with your aging parent is or how devoted you are to making sure that their needs are properly met, handling the tasks and responsibilities of caring for a senior care can put you under a tremendous amount of stress that can put your physical, mental, and emotional health and well-being at risk. This is especially true if you are a member of the sandwich generation and are also caring for your children as well as your elderly parent. While experiencing some stress in life is completely normal, if this stress reaches a high level or is not managed properly, you could experience a wide range of symptoms and consequences. These could include fatigue, headaches, body aches, digestive problems, irritability, depression, anxiety, insomnia, and increased susceptibility to illness and infection. Finding ways to minimize and manage this stress is vital to protecting yourself and to ensuring that you continue to be the highest quality caregiver possible for your aging parent. One of the best ways that you can help to control your stress and maintain better health throughout your caregiver journey with your aging parent is by taking advantage of respite care and heading away on a vacation for yourself. Whether it is just for a weekend or an extended trip, a respite vacation enables you to take a step back from your usual care routine and focus on yourself. While you are away a home care provider will follow through with your routine with your parent as much as possible so that they can get all of the care, support, and assistance that they need to remain healthy, safe, and comfortable while you are away. Plan ahead. While respite care is fantastic for emergency needs, when it comes to taking several days away from your parent, preparing them as much as possible is important to help them not only feel more confident that they are going to get through the time without you, but also to help yourself feel more at ease as well. Talk to your loved one about the time that you will spend away from them and reassure them that they will get the care that they need while you are gone. Write out a plan. Sticking to routine and predictability can be extremely helpful to ease your parent’s mind and help the to get through this time more smoothly. Help the care provider stick to the routine as much as possible by writing out a plan. Create a schedule, list out activities that your parent enjoys, provide contact information for all doctors and other members of the care team, and be sure to include information about important tasks that need to be completed, such as bathing your parent or offering medication reminders. Do not over-plan for yourself. 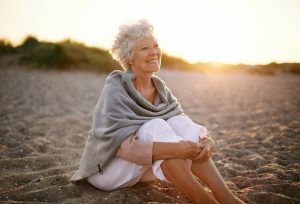 You want to plan enough for your aging parent, but you do not want to overdo it with the planning for yourself. Part of stress relief is relaxation and healing and in order to do that you must have time where you can just rest and focus on yourself. Planning too many activities will only keep your mind moving too quickly and continue or even increase your stress. Give yourself permission to enjoy it. Do not let yourself feel guilty or upset about wanting and needing this time away. You give so much of yourself during your usual care routine for them. You deserve some time to yourself and you will go back a better caregiver for it. If you or an aging loved one are considering caregiver services in Matawan NJ, please contact the caring staff at Lares Home Care 888-492-3538 or 732-566-1112.